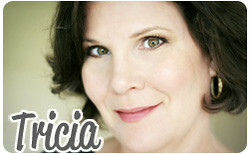 Oh So Crafty: Finally, a Real Project! With May Day on its way and the weather being perfect for outdoor dining, I thought I would make up a bunch of these jar tea light/flower holders. 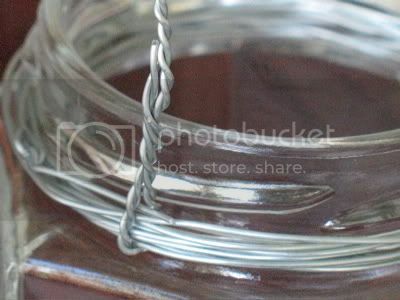 All you need are some clean jars, (I love the shape of this jelly jar,) 22 gauge floral wire and wire cutters. The first thing I do is cut a piece of wire double the length of the handle I want. Then fold it in half and twist it just like you do for the button flowers. 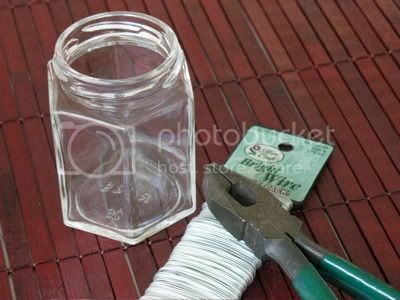 Take your twisted handle wire and position it on the jar leaving a, "tail on each side. 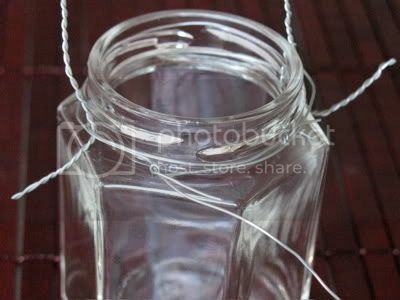 Take your floral paddle wire and start wrapping it around the jar, securing the "tails" and twisting the wire to secure the end. Continue wrapping the jar, about eight times. Finish wrapping the wire near one of the tails and cut the wire from the paddle. Secure the loose end to the tail, then bend the tails up, twisting them to the handle. At this point you're finished. You can use it as is or embellish with ribbons or anything else that tickles your fancy. 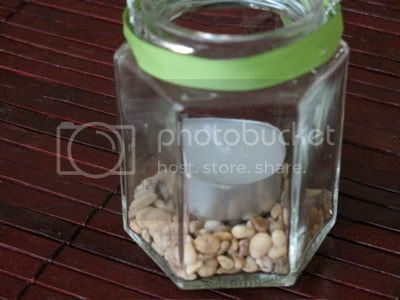 I kept mine pretty simple, putting pea gravel and a tea light in the bottom. 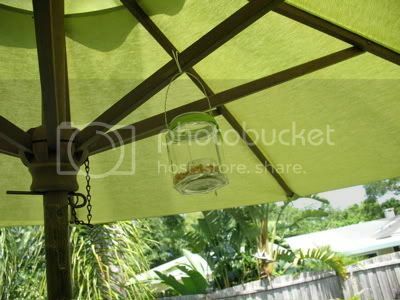 Using an S hook, I hung the light from y patio umbrella. I plan on making more so I can have a nice candle lit dinner. 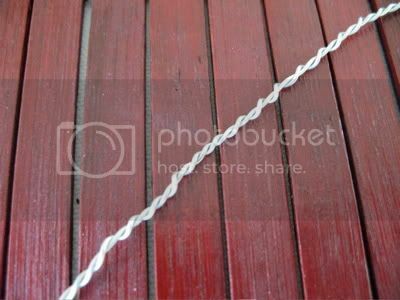 You can use this for May Day by filling it with flowers and hanging off of a doorknob. I'll be using this idea with all my random candle holders and umbrella this summer. Thanks! Such a great idea! I might have a suggestion though. Candles (when lit) produce VERY high concentrated heat for up to 18" above the flame. You'll want to be careful that you don't light your umbrella frame or canopy on fire during your nice dinner!